Performers of all ages will have the opportunity to portray the creations from the familiar Dr. Seuss fables – Horton the Elephant, The Cat in the Hat, Gertrude McFuzz, lazy Mayzie La Bird, and Jojo, a little boy with a big imagination. These colorful figures (along with many more!) will transport audiences from the Jungle of Nool to the Circus McGurkus to the invisible world of the Whos. Auditions are open to males and females ages 4 to adult. All roles are available! ​Performers with special skills -- such as acrobatics, juggling, etc. -- are also needed! Be prepared to list any conflicts with evening, weekend and daytime rehearsals from March 20 through July 22. 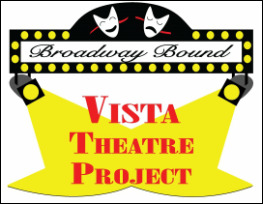 ​will be presented August 3-6 in Cardinal Newman School's Anna Tronco Williams Performing Arts Center.